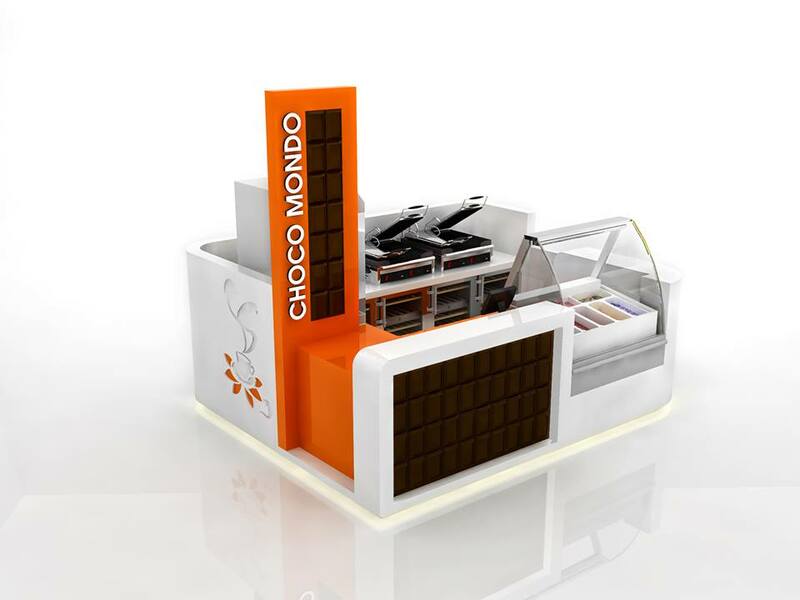 This is a very cute design for the chocolate food court in mall. 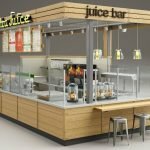 Unique Kiosk custom design and manufacture mall used, food kiosks, beverages bar counter, and concession stands for sale. 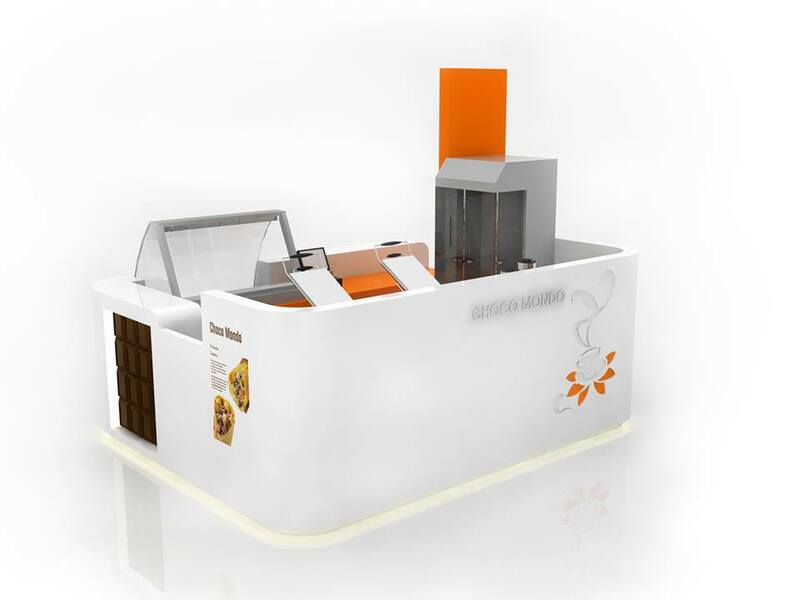 Our kiosk is in high-quality material with a delicate finish. 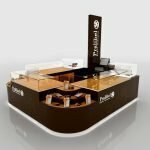 While our price is comparative in a medium level. 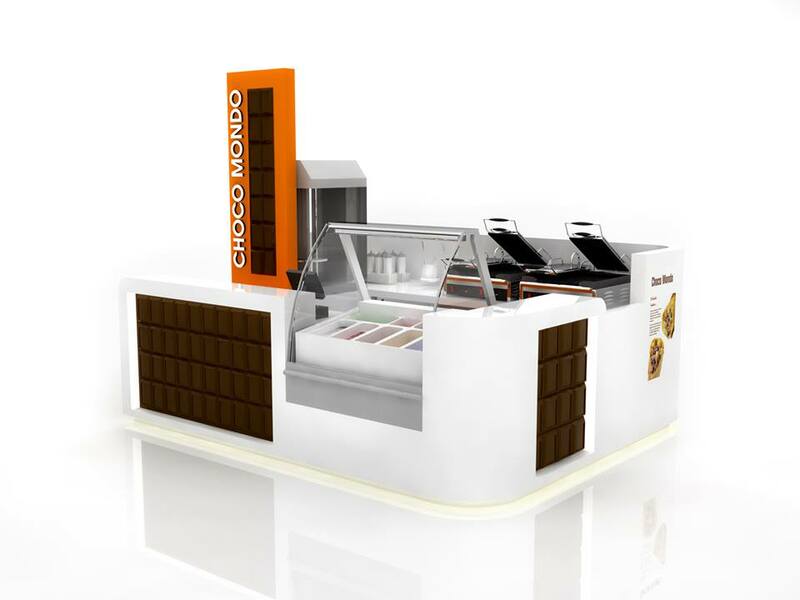 If you want a customized chocolate food bar in mall. 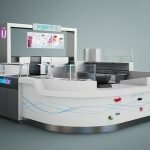 Here we offer the best designs concepts for you. 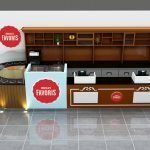 Small chocolate food bar: chocolate concession kiosk in shopping mall for sale.